If you are looking at getting fit and are trying to find the best equipment to do so, then Amazon is your new best friend. There are a whole host of options available to you that will have you getting into shape in no time at all. Vibration plate machines are an amazing way to tone up, lose body fat, and get yourself beach body ready. 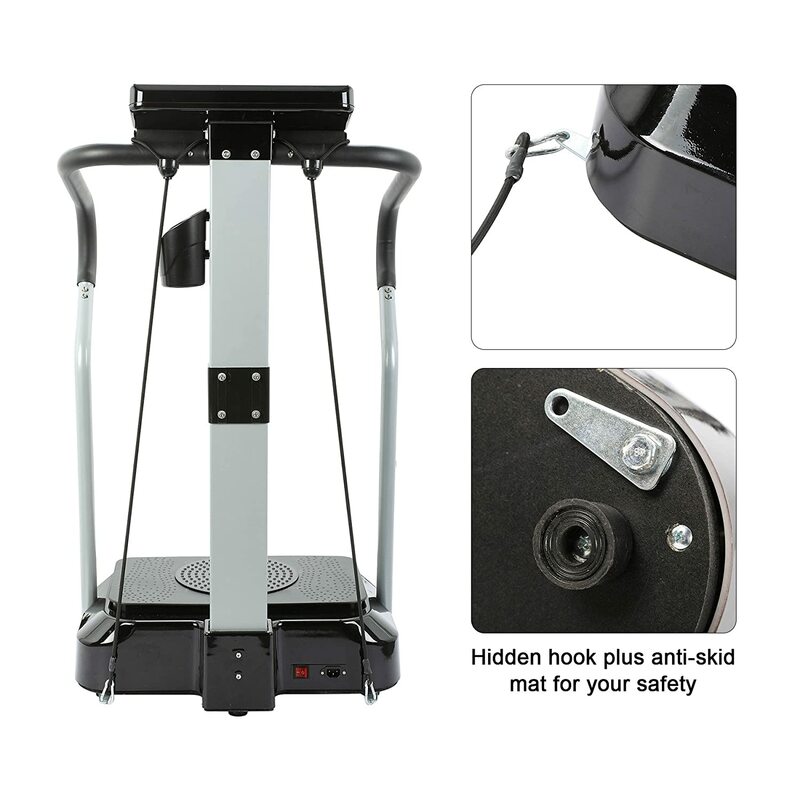 If you are looking for some detailed, yet honest home vibration plate machine reviews then you have come to the right place. Here, we are going to run through the top five vibration plate machines of 2018. Hopefully, this will make it easier for you to select the best vibration plate machine for your purposes. The five vibration plate machines in this review have been selected based on price, technological advancements and ease-of-use. We are not affiliated with any of the sellers listed in this article, so the reviews that you read will be honest, upfront, and to the point. We are going to highlight the pros and the cons of each machine, which should help you make your mind up on what is best suited to you. So, if you are ready then let’s begin running through the top five vibration plate machines of 2018. This home vibration plate machine is perfect for those looking at building flexibility and coordination while reducing body fat and boosting the metabolism. It is great for young and old alike. If you are looking for a powerful vibration plate machine then the Pinty 2000 will be the best machine for you. The powerful 2000w motor effectively creates vibration throughout the whole body, thus engages the core muscles to their maximum capacity. This vibration plate machine comes with an inbuilt MP3 player to keep you entertained during your workout. The solid metal frame provides a safe framework that can take loads of up to 330 lbs. It also comes with an ingenious folding design that makes for great space saving benefits. This home vibration plates machine has been proven to help burn body fat, increase flexibility, provide relief for chronic aches and pains, promote and improve the strength of muscle tissues, and dramatically improve the flow of blood circulation around the body. The Pinty 2000 features a modern LED control board with easy to adjust speeds. This modern vibration plate machine comes with detachable resistance straps to help improve your work out and keep your arms in various positions with ease. It also features suction cups on the base of the machine to help keep it stable during use. It is a moderately priced vibration plate machine that comes with some modern high-tech features. This compact yet well-designed vibration plate machine is perfect for all generations and body types. 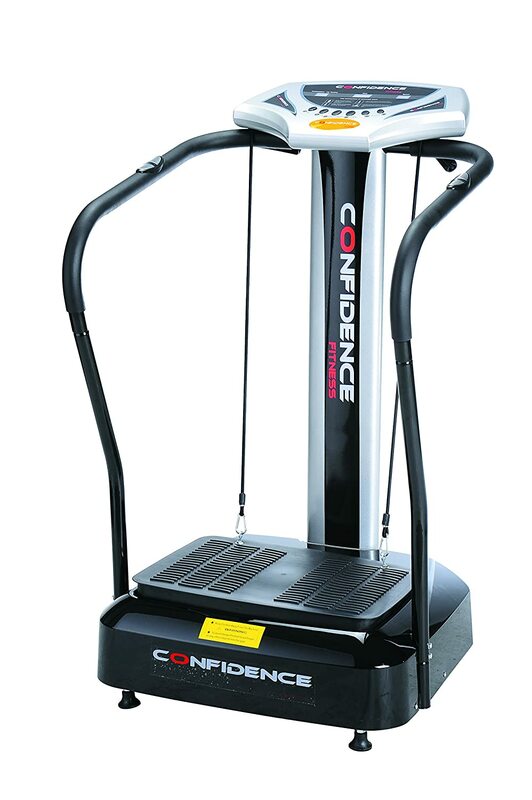 The Confidence Fitness slim full body vibration plate machine is a modern, yet easy-to-use piece of equipment. It has been designed to help improve the strength of the muscles and circulation. It also helps to increase the density of the bones and combat cellulite. This is one of the most powerful vibration plate machines for home use available on Amazon and comes highly recommended by previous customers. It has been designed to offer low impact exercise that provides quick results. The LED control panel provides an easy to understand programming system that is ideal for the elderly and those who have never used a vibration plate machine before. The large vibration plate platform makes it easy to perform a multitude of exercises and increases your calorie-burning capacity. While providing a large vibration plate platform, the machine is actually very compact, which makes it ideal for home use. 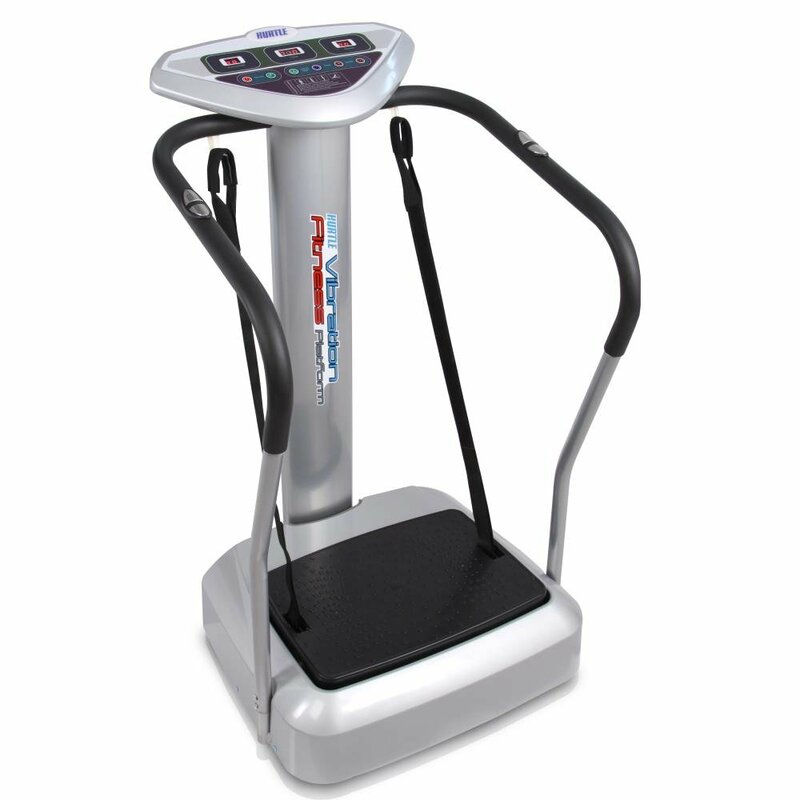 You have a selection of 50 different speed settings and the vibration plate machine can take weights of up to 300 lbs. It features wheels at the base for ease of maneuverability around the home, and comes with complete instructions for a fantastic workout. This is the most expensive vibration plate machine on this list and offers a mix of style and function. It is ideal for those who appreciate modern technology and the ability to easily and quickly select the ideal workout intensity level. This home vibration plate offers maximum technological information to help the individual power their way to a slimmer and more toned physique. The hurtle vibration platform is the most technologically advanced vibration plate machine on this list. It offers the individual the ability to select speeds between levels 1 to 99, and comes with inbuilt preset modes which targets the abdominals, the thighs, the buttocks, and the entire midsection. The three LED display unit makes it easy to monitor your progress at the touch of a button. It also comes with the fantastic addition of a BMI sensor, which allows you to monitor your progress with ease. The hurtle vibration plate machine also comes with a handy remote control, which allows you to set the speed with a few simple clicks of a button. This vibration plates machine is designed to help improve the speed of your metabolism while helping burn body fat and increasing muscle mass. It can accommodate weights up to 350 lbs, and the inbuilt BMI sensors help you select an appropriate plan for your targets. It is ideal for all body types and ages, which means that it is a great cost saving option for those where the machine will get plenty of use by all family members. While this vibration plate machine is at the top end of the price range, it does offer a multitude of workout actions that will see you well on your way to your body goals in no time at all. If you appreciate having the ability to be able to check your progress with each workout, then this will be the ideal machine for you. This Standalone home vibration plate is compact, sleek and offers a quick and easy workout for those who are short on time. 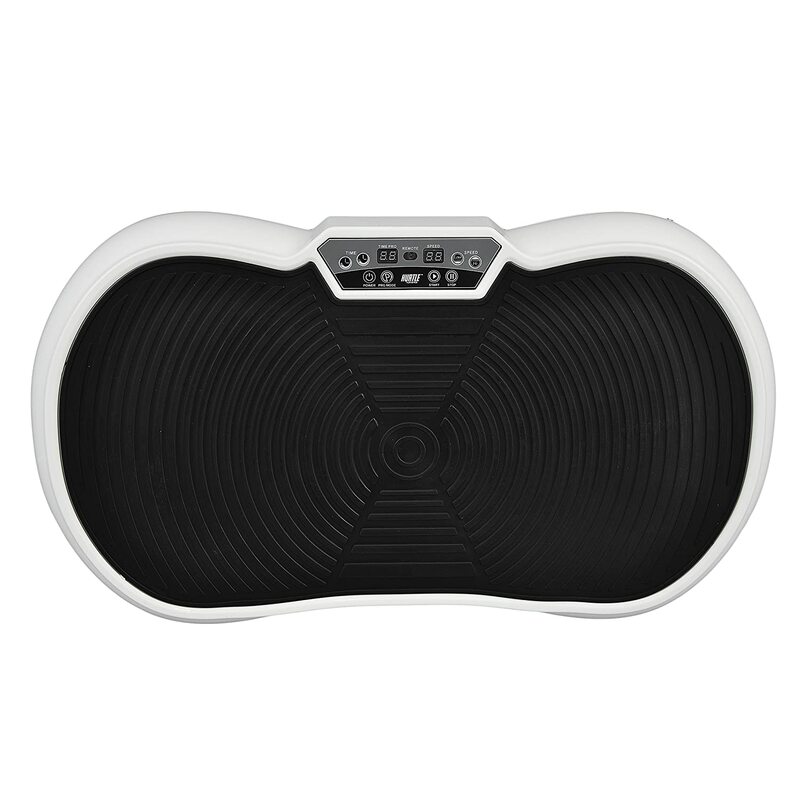 The Hurtle Fitness balance plate is a mid-priced home vibration plate. This compact yet Hi-tech vibration plate is perfect for home use and is easily movable. Unlike the other vibration plate machines on this list, this one is designed to improve the interaction of the core muscles during a workout. The lack of a support frame means that the individual must rely on balance to remain upright. It does, however, come with resistance bands which help to provide support during exercise. The lack of a support frame means that you get a better workout for your abdominal muscles, your buttocks and your thighs. It also helps fire up your metabolism for better body fat burning. This is the ideal vibration plate machine for those who enjoy yoga, as it enables maximum flexibility and movement to perform poses. As with some of the other machines, it comes with a remote control that makes it easy to increase or decrease the speed of vibration. Being as compact as it is, it is easy to move it to from room to room and be stored away when not in use. It will help you maximize your exercise routine while minimizing the impact on your joints and tendons. The lack of a stability frame may make this difficult to use for the elderly and infirm, but will provide a fantastic workout for those who appreciate seeing results in the shortest amount of time possible. 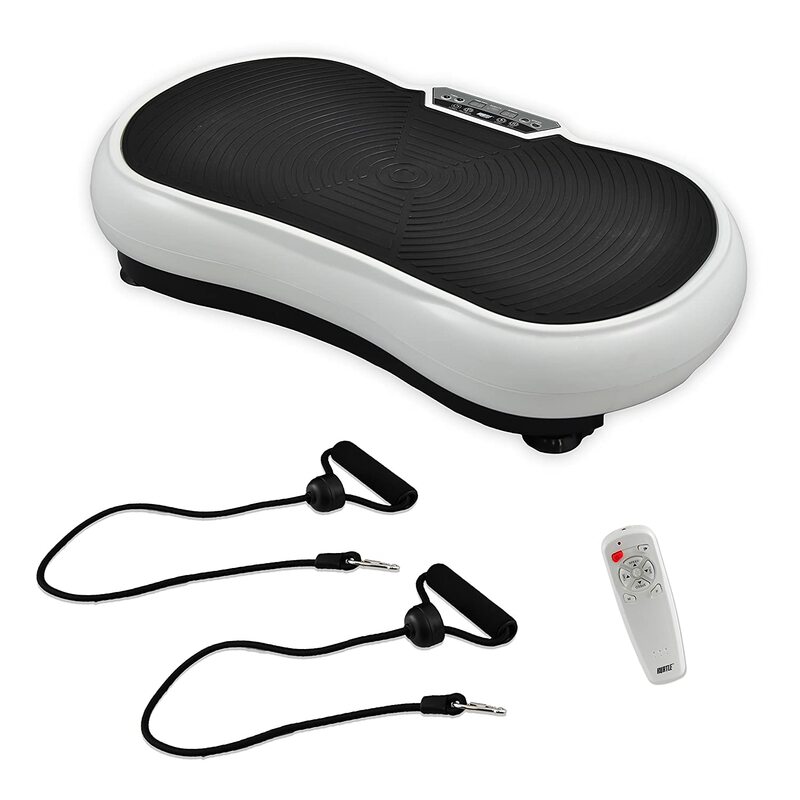 This vibration plate comes with everything you need, simply step on it and go. This is a compact, modern, and economical home use vibration plate machine perfect for the younger generation. 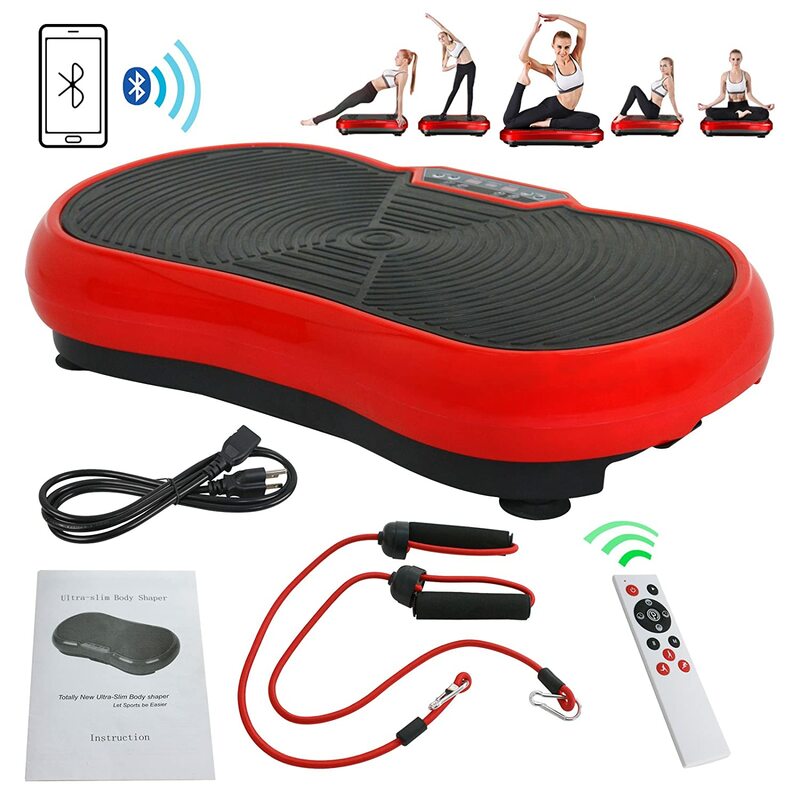 The crazy fit Bluetooth vibration plate is the most economical choice on this list.While it is small in size and compact in its design, it offers several features that make for a great workout. The ability to connect a multitude of devices via the Bluetooth functionality makes this an ideal choice for the younger generation. 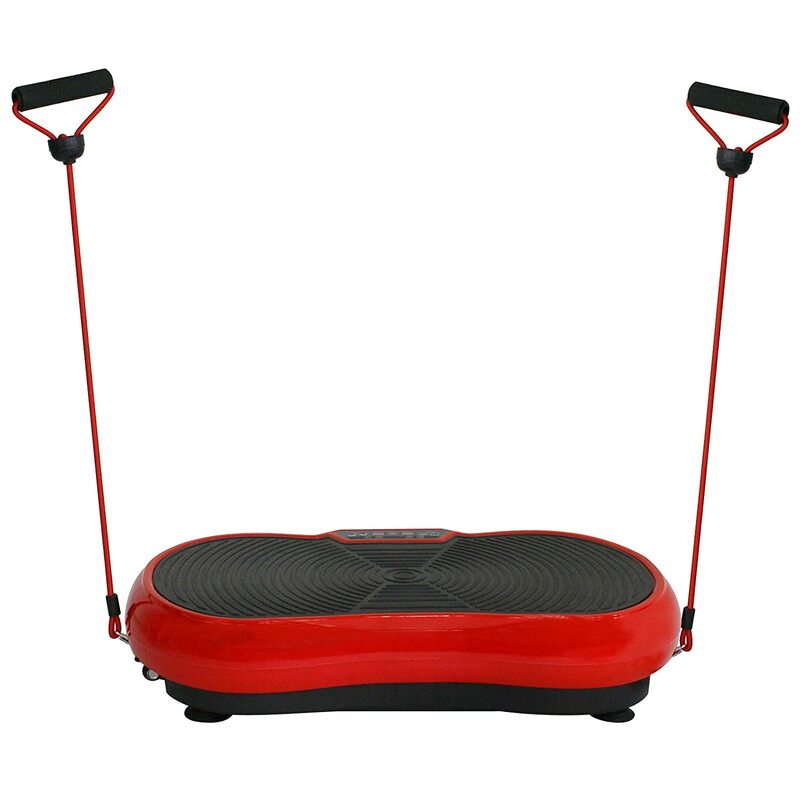 Much like the vibration plate above, it relies on good balance and flexibility. The crazy fit Bluetooth vibration plate helps improve fat burning while improving the circulation and overall muscle strength. It also helps increase the density of bone mineral content and leads to better balance and coordination. This vibration plate is also ideal for those who suffer from back pain, as the vibration stimulates the decompression of the spine. The inbuilt programs are designed to be used three times a week and take just 10 minutes to perform, which makes this the ideal vibration plate for home use for those who are limited with time. This set comes with one vibration plate floor machine, two resistance bands, a set of complete and full instructions, and a handy remote control which enables the individual to easily select that workout routine at the click of a button. This vibration plate machine offers affordability and flexibility, which is ideal for those on a budget. It is great value for money and offers a fantastic, passive, full body workout in just 10 minutes. It is lightweight and compact, which makes it ideal for transporting around the home or wherever you may be going. This means that you can always have it on hand when you need it. It can hold a maximum weight of 330 lbs, and in our opinion is the best vibration plate machine for home use on this list. While this machine may not be ideal for the elderly or those with lack of balance and coordination, it will prove to be ideal for those who appreciate convenience, modern technology, and a sleek yet compact design. As you can see, when it comes to the best home vibration plates of 2018, you have plenty of options to choose from. Of course, the machine that you opt to choose will primarily depend on the budget that you have available, the main reason for purchasing the machine, and the space you have available will all come in to play too. 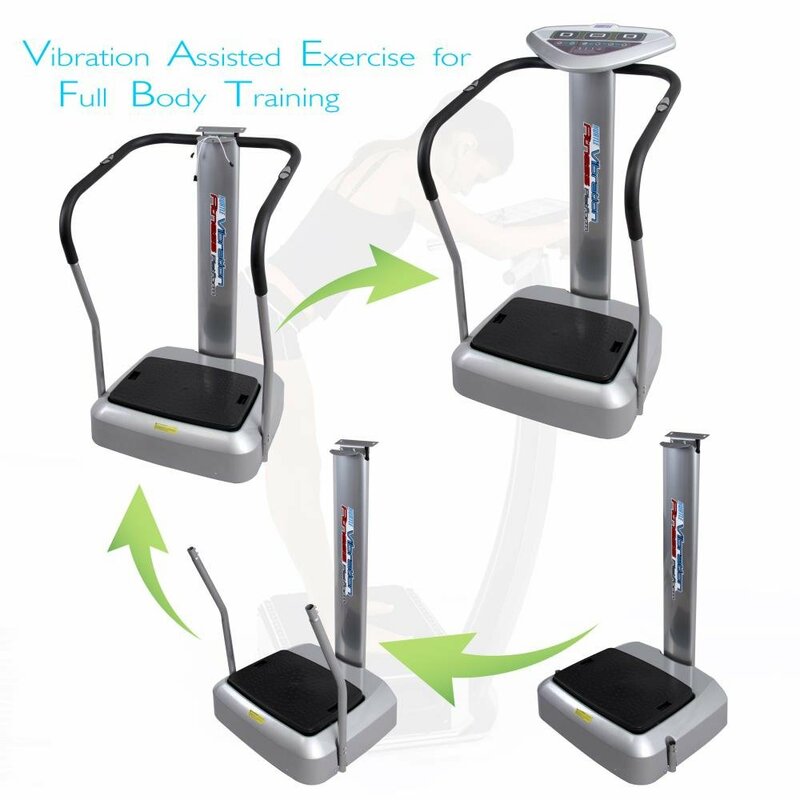 There are many benefits to be gained from using a vibration plate machine. Some of these vibration plate machine benefits include, but are not limited to, a more toned physique, an improvement in blood circulation, a reduction in the amount of body fat that you have, and a better functioning of the cardiovascular system. By using a vibration plate machine, it enables your core muscles, which leads to a more toned abdominal area, firm and rounded buttocks, and a more defined physique. You should take your time to compare different machines, as each one will have its own beneficial functions, which will see you on your way to a slimmer and healthier you. Vibration plate machines are popular with celebrities and people around the world, and it is easy to see why. The body-boosting benefits that they offer to the individual are impressive, to say the least, so why wait any longer? Your dream body is just a vibration plate away. For those who are elderly or like stability and balance, a full frame vibration plate will be perfect for your purposes. 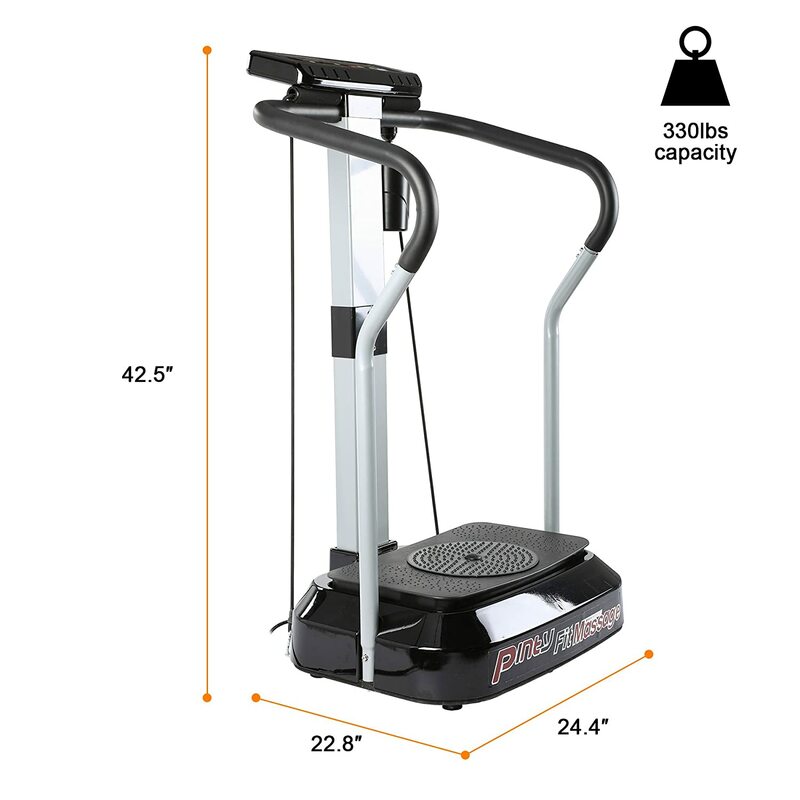 For those who are more mobile and have better flexibility and maneuverability, the stand-alone home vibration plates will offer you everything you need for a fantastic workout while saving you money. Home vibration plate machines are the perfect way to improve your blood circulation, increase your flexibility, reduce body fat, eliminate cellulite while providing great all over body conditioning. There is plenty of science behind the workings of these machines and how they benefit the individual, so, if you want to maximize your fitness plan with minimal effort then a home vibration plate machine is just what you are looking for.